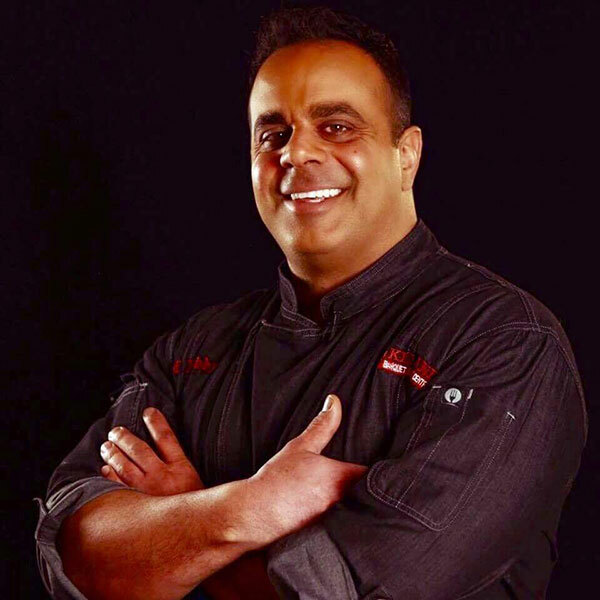 Robert Nahra, aka Chef Bobby to most, has successfully created many unique mouthwatering recipes and dishes that have skyrocketed his culinary career over the years, combining simple, local, and fresh ingredients that are tied to his roots of Middle Eastern and Italian cuisine. The Encore name was established in 1976, by Robert’s mother, Sandra, who owned and operated her own catering business. At the age of 6, Robert started to help his mother in the kitchen and began to learn several recipes along with valuable life lessons from his mom. His mother not only taught him what ingredients to use, but she taught him how to put his heart into each dish, and that cooking is an art, and each dish should be created with passion. My Mother was an amazing cook at home and I learned to cook at the early age of 6. I was going to school to become a banker and at 19, my mom pulled me out of school and said to do what I loved to do – COOK. I found a banquet hall to buy and we worked together for 12 years on the business. We now have four locations and I still love to cook, which to this day reminds me of my mom, who has since passed away. I also do a lot of work for charities and homeless shelters. I really don’t have one, but I do love to cook what my kids like to eat: steak, salad, lamb shank and duck. Depends on the season. In the summertime, I like bronzino. As a young child, my mom would take me to classic restaurants like Joe Meur, the Golden Mushroom, the London Chop House and more. She would tell me to close my eyes with each bite and try to figure out what my taste buds were telling me. She trained my pallet. Giving back to the homeless in Detroit and the surrounding counties.